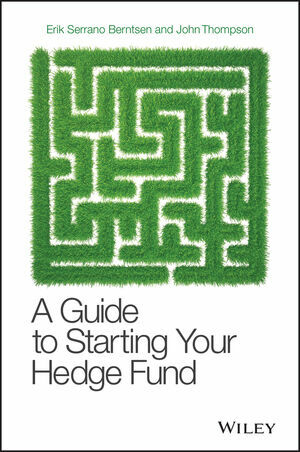 A Guide to Starting Your Hedge Fund is a practical, definitive "how-to" guide, designed to help managers design and launch their own funds, and to help investors select and diligence new funds. The first book to examine the practical aspects of setting up and operating funds with a focus on energy commodity markets, this book scrutinises the due diligence process and comprehensively reviews the opportunities and risks of all energy commodity markets as hedge fund investments. Extensive planning and strategy advice prove invaluable to prospective fund managers and investors alike, and detailed discussion of the markets' constraints help inform procedural decisions. Readers gain insight into practical matters including legal and commercial structures, due diligence, fund raising, operations, and more, allowing them to construct a concrete investment plan before ever touching a penny. Asset managers are looking to energy commodities to provide attractive uncorrelated – if volatile – returns. These high returns, however, are accompanied by high risk. Few investors have experience evaluating these investment opportunities, and few prospective fund managers understand the market fundamentals and their associated risks. This book provides the answers sorely lacking in hedge fund literature, giving investors and fund managers the background they need to make smarter decisions. Oil has long been traded by hedge funds, but electricity, the fuels that generate electricity, and the environmental products like emissions allowances and weather derivatives have become the new "hot" investment strategies. These high returns come with higher risk, but A Guide to Starting Your Hedge Fund ensures participants have essential information at their disposal. Erik Serrano Berntsen is CEO of Stable Asset Management. Prior to Stable, he was a Consultant with Bain & Co., where he consulted on private equity deal studies as well as a broad spectrum of corporate engagements. During his time at Bain he was also an advisor to the Prince's Trust, including advising on the UK-wide Volunteer Strategy initiative. Erik holds a Bachelor of Arts in Politics, Philosophy and Economics from Keble College, University of Oxford, and a Masters of Business Administration with honours and a Concentration in Finance from the University of Chicago Booth School of Business. John Thompson is Principal of Stable Asset Management. Prior to Stable, he was a senior executive of Enron Europe. He has held regulatory affairs and market operations management roles with Wintershall (BASF) and was regional financial coordinator for Milestone Petroleum (Burlington Resources). John began his energy career in the oil and gas fields of the Rocky Mountains and later as a well-site mud-logging engineer. John has held several Directorships, including Member of the Supervisory Board of the European Energy Exchange (EEX). John also holds a Masters of Business Administration from the University of Chicago Booth School of Business. Stable Asset Management is a hedge fund seeding firm that backs top trading talent globally to build institutional quality asset management firms.